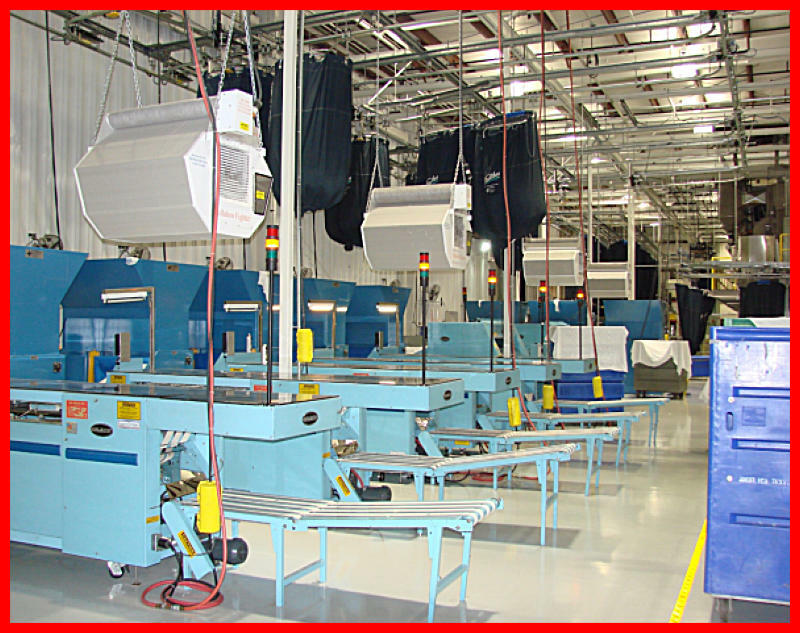 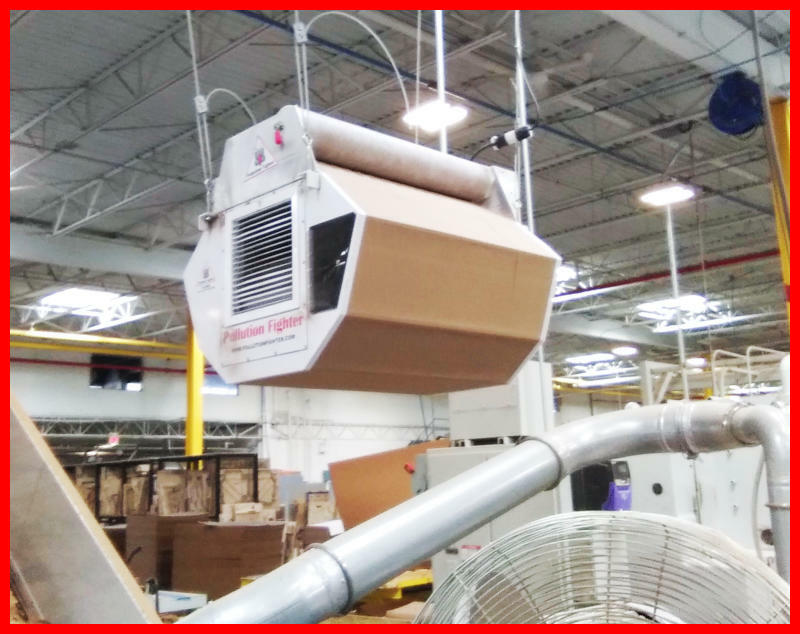 LINT & DUST builds up on filter to a preset static pressure, the filter will index, automatically (from left to right) and will be neatly rolled up and collected, for easy disposal. 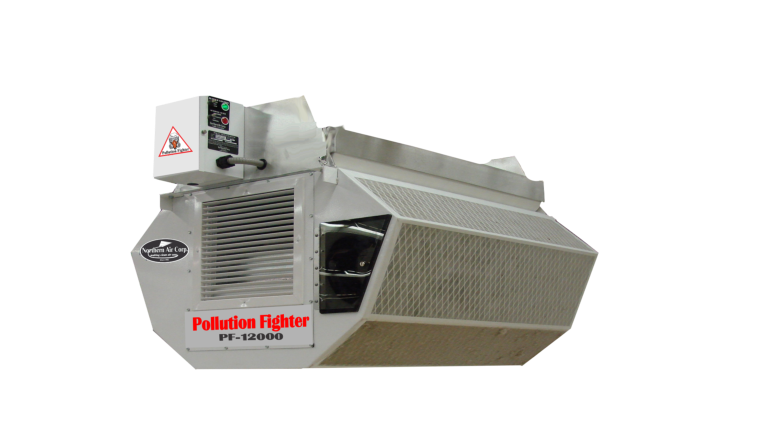 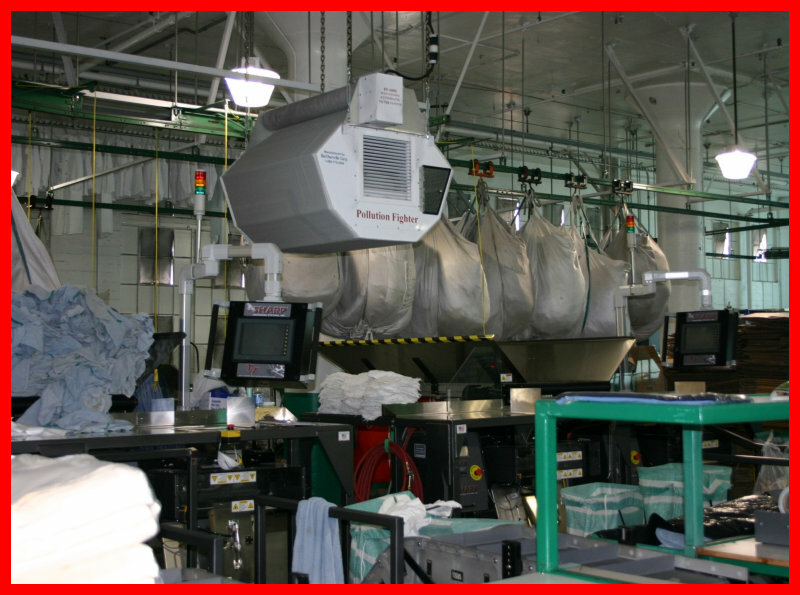 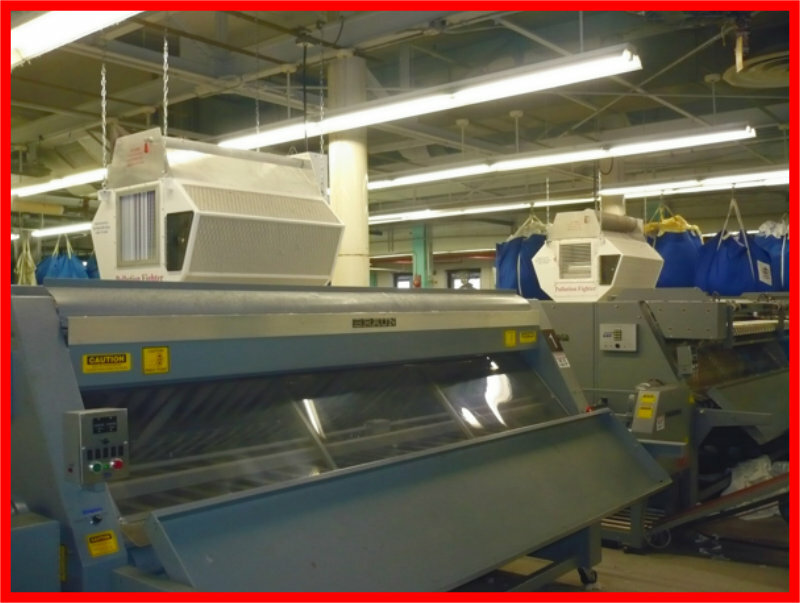 The Pollution Fighter PF-12000 Automatic Lint & Dust Collector automatically collecting lint & dust at the source of generation, minimizing the opportunity for cross contamination, drastically reducing the need for blow downs and sweep-ups. 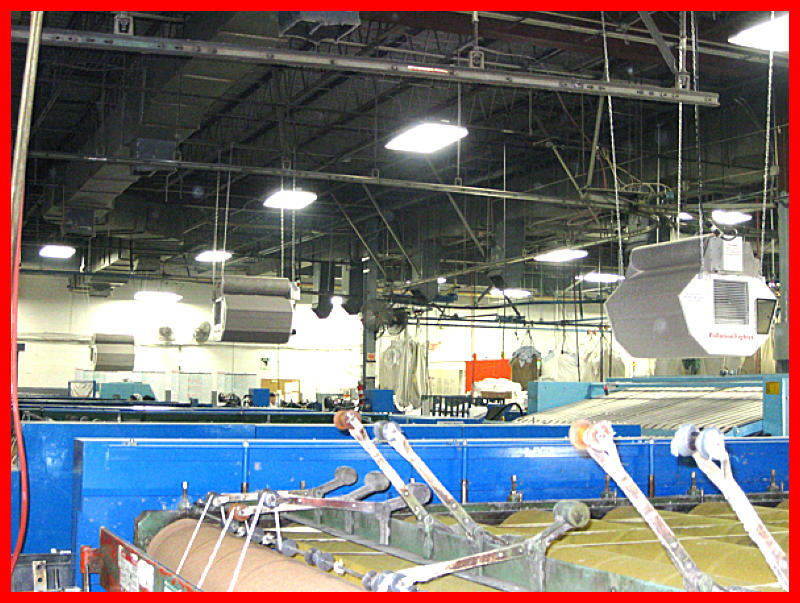 Collect lint & dust before it gets on lights, pipes and beams, before it becomes a FIRE HAZARD.